Q Tips say: Go and enjoy! Hearty servings. Mr. Q ordered: Sausage Trio -Bratwurst, knockwurst and smoked Thüringer, served with sauerkraut and German potato salad. I had: the special- Oxtail Stew with house-made spätzle & a side order of potato pancakes – all so yummy! Our friends had: Fish entree and the other the Pork Medallions. Had a great time. Mrs. Q says: When you go pay attention to the photos on the walls and the stained glass windows, etc. Great ambiance. Going for lunch? 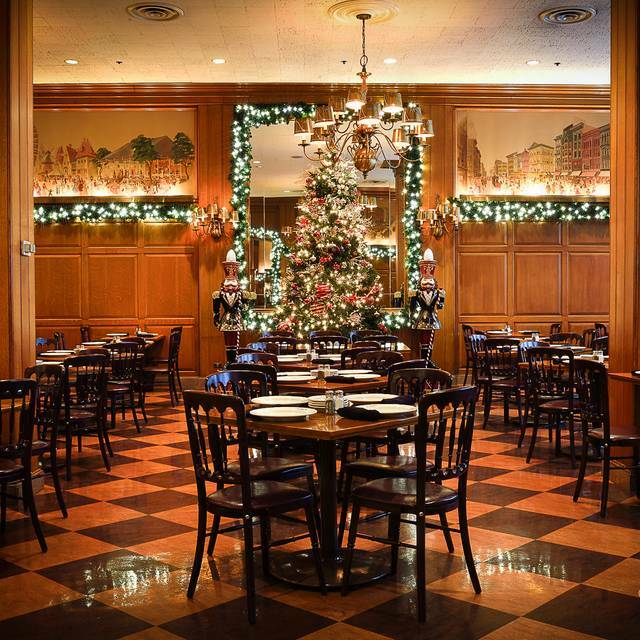 Make sure you make a reservation since many of the locals do enjoy spending their lunch hours at Berghoff. They are putting in a Fermentation Tank(s) – They will now brew their own beer.